The Restrict User Account Access plugin lets the administrator restrict access to specific user accounts by setting an expiration date and time after which access to the account will be blocked. Users with expired or deleted accounts will be denied access and greeted with a customizable message. The admin can also set email notifications to warn users that their accounts has expired. User accounts can be treated on an individual basis. 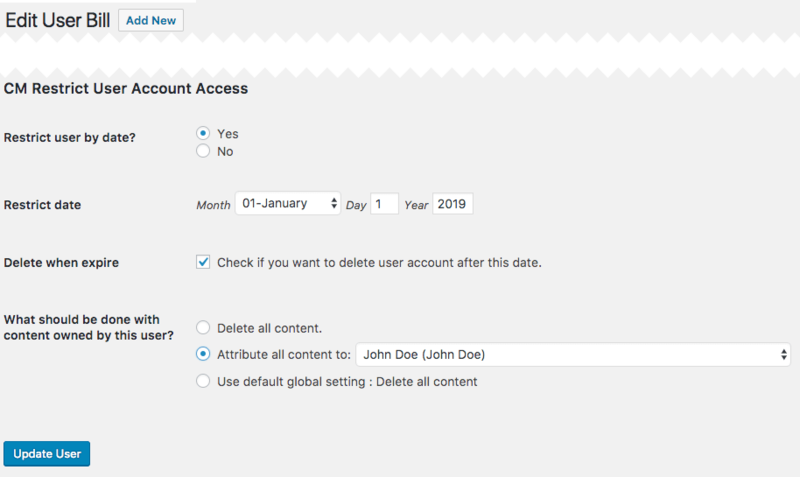 That way, the admin can set different expiration dates to each user, and choose if the account should be deleted or not. The admin can also choose what happens to the deleted accounts’ content: it can be either trashed or transferred to another user. This WordPress plugin can also be used together with the Registration and Invitation Codes plugin. Read more about the Registration and Invitation Codes. 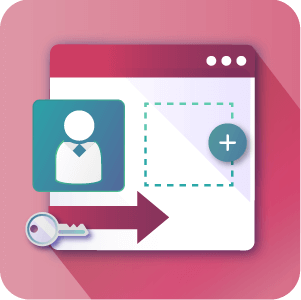 Create Temporary Accounts – This user friendly plugin works as a membership plugin which helps the admin to create temporary accounts according to the user access level with a set amount of days until expiration. Automatically Delete Temporary Accounts – Automatically delete an account after a set date or set number of days since creation. Block Login After a Specific Date – Set the date after which the account will be blocked and the login will be disabled. Block account on a specific date – This is the best WordPress plugin for blocking access to the user account after a specific date. This can be defined for an existing account in the user profile screen or for a new user being added in the add new user screen. Block account X days after registration – Block access to the user account after a set amount of days after registration. Block account X hours after registration – Block access to the user account after a set amount of hours after registration. Delete account – Delete account after a set date or number of days since registration. This can be defined for an existing account in the user profile screen or for a new user being added in the add new user screen. 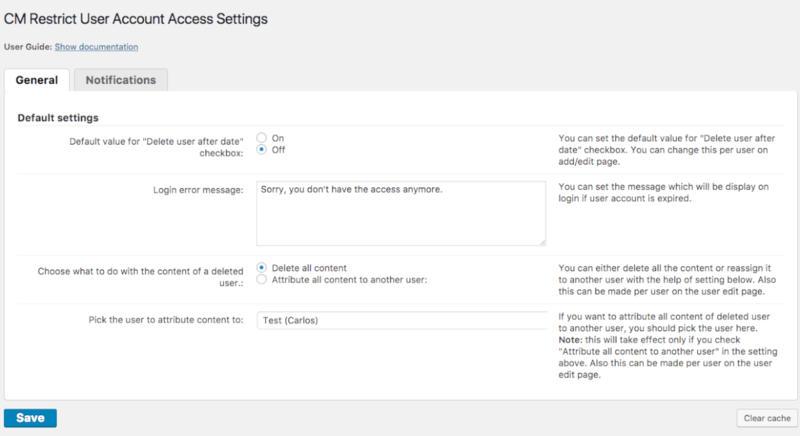 Assign content when deleting account – Once deleting an account, assign its content to another user. Integration with Invitation Codes – Use together with the plugin to define an invitation code for temporary accounts. Notifications – This WP access plugin allows users and the admin to receive notifications once account access has been blocked or deleted. Can this plugin deletes a user for a certain date as well as restrict their access? Yes! There is an option to delete a user profile from the Site at the same time as they’re restricted within the User View. What happens to the content created by a User that is deleted by the plugin? You can set the Plugin to either delete any content and data associated with the deleted User when their account is deleted or to associate it with other pre-chosen User profile. Can you restrict the user account to be used only for 2 hours? Sure! 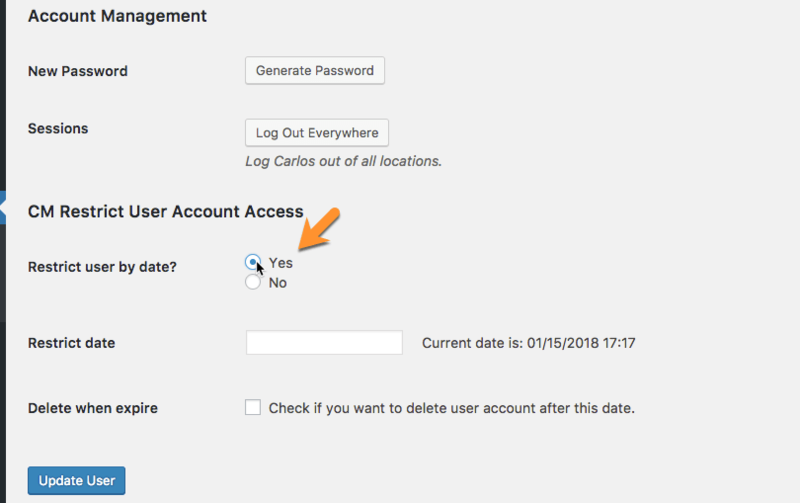 When defining when a User account should be restricted you can also set a time, you can decide down to the minute how long a user should remain active. To learn more about setting Expiration dates and times see this documentation article. Does the user know that his account was deleted or restricted? Yes. You can set the plugin to send notifications to users once their account has been restricted or deleted. 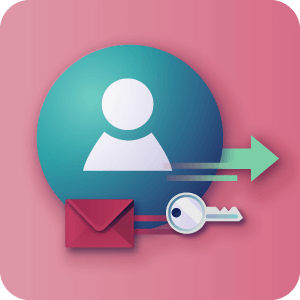 To learn more about setting up notification emails to send to visitors upon account restriction or deletion click here to see the Help article. Does this plugin work with the CM Registration Plugin? Sure. 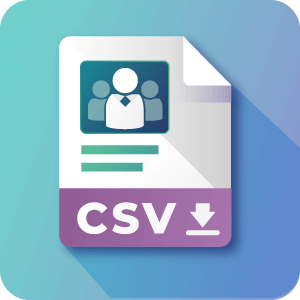 It was designed to work together with the CM Registration plugin so invitation codes can also create restricted accounts which have an expiration date. To learn more about this integration see the Help article by clicking here. Can this plugin work as a WordPress member roles plugin? 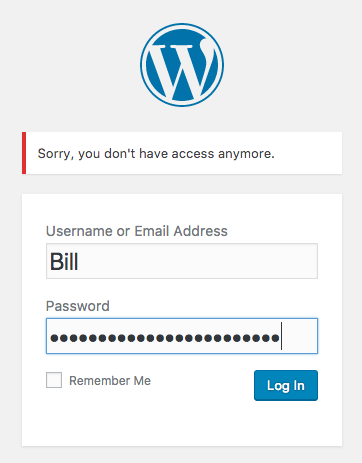 This plugin can only restrict users’ accounts access. If can delete an account or block access after a set amount of time. Can this plugin restrict content? No, This is not a restrict content plugin but our Site and Content Restriction Plugin for WordPress can restrict entire posts/pages and allow only members to see the restricted content. You can grant access or effectively restrict certain users according to the user roles. This restricted site access plugin also allows you to partially limit access or restrict permissions to all or some pages or posts. You can use these both plugins together for restricting content and extend restrictions. Can I restrict an account of existing users on my WordPress site? Yes. The plugin has the option to restrict the account of both existing users as well as upon creating new users.